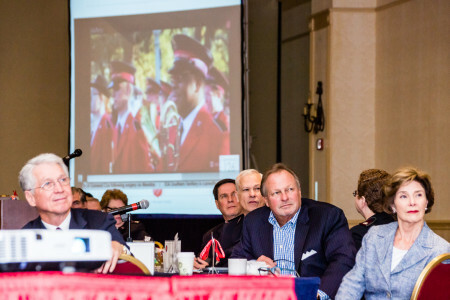 When 44 of the brightest minds in business come to your division with the goal of making The Salvation Army better, it’s an event to celebrate. 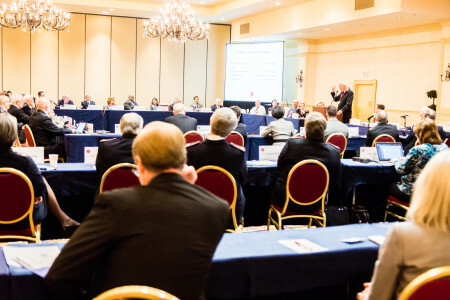 Not only was this the first time the National Advisory Board (NAB) held its quarterly meetings in the Alabama, Louisiana, Mississippi Division (ALM), it was the first time the NAB convened in a smaller metropolitan area, Jackson, Mississippi. Two facts not lost on Divisional Commander, Major Ronnie Raymer. “These meetings put us on a national stage. 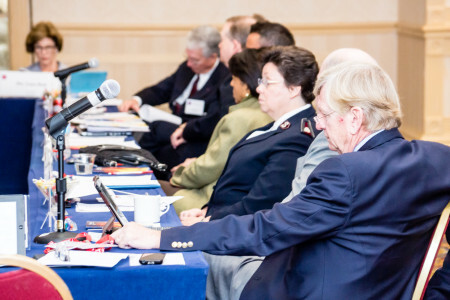 The members of the National Advisory Board have influence throughout this great nation that translates into much needed support of The Salvation Army of which this division is a key part,” said Major Raymer. Officers from all four territories, National Headquarters, including Commissioners David and Barbara Jeffery, and board members were greeted at the airport by Divisional Officers and staff. Each guest received a gift bag filled with Mississippi based items including a divisional booklet highlighting nine different corps programs as well as Emergency/Disaster Services, Angel Tree and youth summer camp in the ALM Division. “This week gives us an opportunity to express the unique needs of our citizens in this part of the United States. 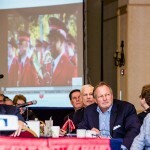 Without these meetings, it might not otherwise be afforded to us,” said Major Raymer. 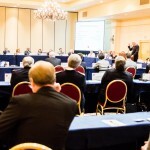 Following arrivals, a full day of meetings and discussions faced board members. First, Captain Chapman welcomed everyone to Jackson, officially with a breakfast including 75 local CEOs and Mississippi Governor Phil Bryant. This board meeting also marked the first for William Burke as Board Chairman. Chairman Burke from Columbus, Ohio is the Senior Vice President for Corporate Marketing for Nationwide Financial. He walked away impressed. “Jackson is a very vibrant city, the state is growing. 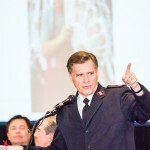 There’s lots of energy and innovation and lots of care for those people in the part of the country,” said Burke. Board member and former First Lady, Laura Bush also made the trip to Jackson to take part in all the events surrounding the meetings. 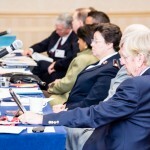 Thursday evening proved to be the highlight of the week for officers and board members alike. The Jackson Corps hosted a reception and dinner inside its Corps Community Center featuring chefs and food from across Mississippi. The entertainment was provided by local young adults, teens and children who use the center every day. Plus, local troop, Ballet Magnificat danced to Joy to the World and Territorial Headquarters Commissioner Don Bell was called on stage to feed Frank the Camel. 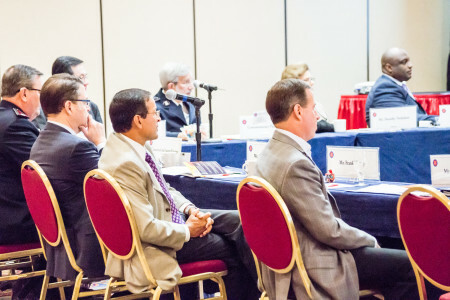 Commissioner Bell says by bringing the NAB to Corps across the country, each local advisory board finds out what is going on nationally, plus the local members see what it really takes in Doing The Most Good. “Through their efforts, we raise the image of the Army. 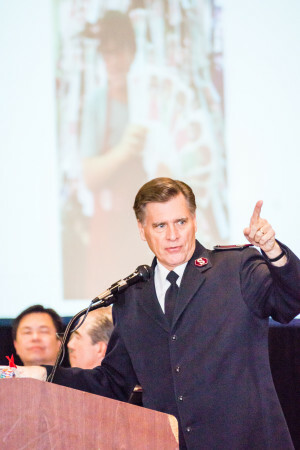 So by bringing the NAB to Jackson, we think The Salvation Army’s efforts in Jackson will get a boost,” said Commissioner Bell. Planning for the week began months ago and many hours of work went into making sure this would be a time to remember for all involved. The meetings were deemed a success. “We have a lot to be proud of here in the South and it’s pretty cool to show this off,” said Major Raymer.